Renowned for their versatile opening mechanism, uPVC tilt and turn windows are perfect for medium and high rise buildings where accessing the exterior of the window is difficult. Providing as little or as much ventilation as required, they can be fully opened internally for ease of cleaning. Utilising a slender, high quality uPVC profile with a mere frame depth of 70mm, they absolutely ooze with style. Concealed hinges and gearing ensure the finish remains smooth and the windows continue looking great. T&K’s uPVC tilt and turn windows are some of the best performing of their kind on the market. Benefit from tiny U-values of just 0.8 W/m2K, which can lead to a significant reduction in energy costs. This is achievable via an innovative multi-chambered design that can incorporate either double or triple glazing. Able to achieve a Window Energy Rating (WER) of A++, optimal levels of thermal performance are on offer. Featuring an ultra-secure all round locking system and robust framing, your home will remain free from any would-be intruders. Constructed from uPVC of the highest quality, long-lasting durability is assured. T&K’s range of uPVC tilt & turn windows are available in an extensive range of stunning colours and woodgrain effect finishes. Make your new windows stand out with a bold and bright colour, or choose something more subtle to blend in with the rest of your home. Regardless of your desires, we’ve got a shade to suit you. 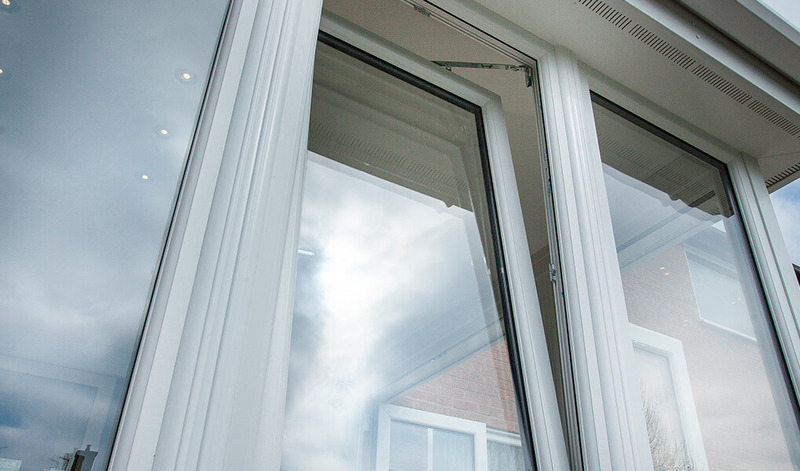 We can incorporate 24mm or 28mm double glazing into our tilt & turn windows. However, 36mm, 40mm or 44mm triple glazing options can be fitted too. 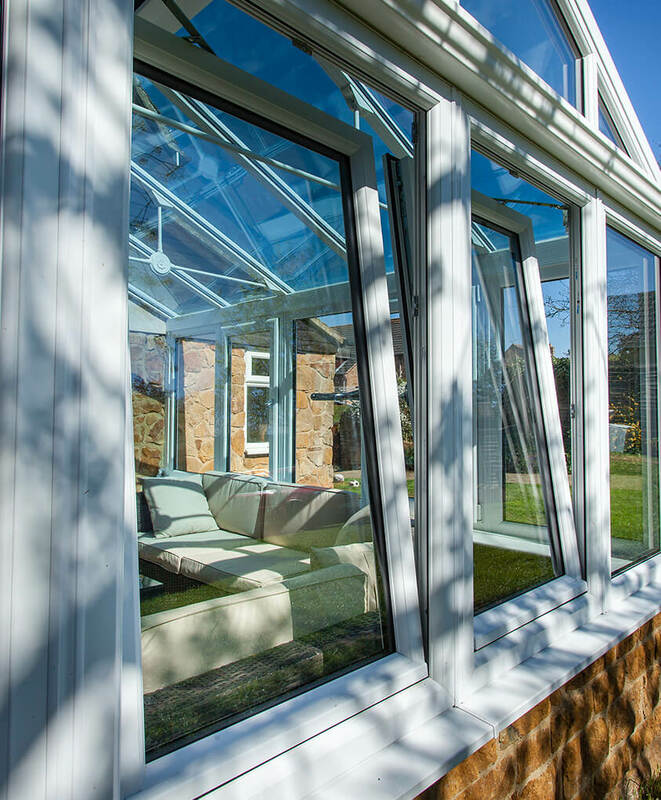 Having triple glazing installed will provide an extra boost to the already impressive levels of thermal efficiency, noise reduction and security on offer. Constructed from uPVC of the highest quality, the framing has been reinforced with Recycled Composite Material (RCM). RCM is a more sustainable alternative to steel or aluminium reinforcement, yet still provides the same excellent benefits. Benefits include an increase in thermal efficiency and window durability. T&K also supplies tilt & turn windows in aluminium and timber. Customise your tilt & turn windows with a range of well-crafted accessories, which can then be finished in a number of colours. At T&K, we understand the importance of individuality when it comes to home-improvement solutions.